Here are some comments from Anna Lee's fans and friends on the event of her passing. On behalf of my family, we grieve for our mother's passing, but we also know she is in a better place. She had an extraordinary 91 years, and both touched and inspired everyone she met. Her milky white skin and English rose complexion was unmatched; and I don't think it is an exaggeration to say... she was one of the most beautiful actresses to ever grace the screen. Though small in stature, she had an indomitable spirit, and was the backbone of her family. No matter what obstacle lied ahead, she accomplished everything she ever tried. She was a pioneer woman wrapped in perfume and lace. She will be missed, but never forgotten." Anna Lee's husband, Robert Nathan, was the nearest I ever had to a mentor. I'd discovered his books in high school and college, and immediately decided that I wanted to write like him. We met in 1964, and remained close friends until his death in 1985. I remember when he introduced me - shy as a schoolboy at 75 - to his fiancée, who was at the moment fixing the roof of his Los Angeles house. She came down in coveralls and a painter's cap, and I loved her from that instant. She was, truly, the last Englishwoman. They aren't making that model anymore. Oh, I will miss you, Anna! I asked him if he is the famous author who wrote "The Last Unicorn"
Boulevard that she rented for a month. She planned it all like the Normandy invasion and carried it through perfectly. Somewhere in my usual chaos, I've got snapshots of her pointing it out to him and of his absolutely stunned and overwhelmed reaction. Pure Anna. I have been a fan of Anna's since I was a teen back in 1980 and started watching GH. I wrote her and other members of the cast fan letters and she was the first to reply back and I joined her fan club at the time. I was/am an amateur film historian and tried to get as much of her film/tv work on vhs and send her video copies as she lost a lot of her memorabilia in a fire when she lived in Texas (yet alone another fire years later) Through the years I tried to collect as much memorabillia on the actress and shared it with her. I became involved in her fan club and have spoken to her on the phone on many occasions. I live in Iowa and when we had the floods of 1993 here in this state, she called me, very concerned about my well being, but was relieved to let her know that I lived on higher ground and was not effected by the ordeal. Now I know she is on higher ground and back in the arms of her loving husband, her son and her many many friends. I cherish you my friend. Peace Out. From Wade, who has contributed a LOT to this site! I hadn't seen General Hospital often in years and just discovered she had passed away whilst web surfing. I was both saddened and filled with with fond remembrance and wanted to say something either way. I am sorry to find out about Anna Lee's passing. I remember spending many hours watching General Hospital as a teenager (beginning in the mid 90s) and finding myself captivated by her kind and glowing presence. My sister and I both considered her a favorite on the show and delighted in her scenes. She was a well-loved and talented actress throughout her long career. An inspiration to women at all ages, she will continue to be remembered warmly by many. I just heard something from a fellow soap fan and was wondering if it was true. She told me that Anna Lee passed away yesterday. I pray it's not true, but hope if it is, she went peacefully. Can you please let me know. She and I used to converse periodically. She would call me ever so often, since she wasn't able to correspond when her arthritis got really bad. Thanks for you time and trouble. no funeral service, but there will be a memorial service; he'll keep us posted on that. Meanwhile, I have put a link to your page for career information. I interviewed Anna in 1993 and have tried to keep in touch since that time. She was a very special lady. I just wanted to tell you how very sad I am by the news of your mothers death. I understand the pain of losing someone since I lost my husband 1 year ago this month. please accept my deepest condolences. She will be missed. Right now, ABC is on my "_hitlist" for what they did to her. I am soooo sorry that she is gone now. I have been watching GH since Nov. 1981 - the day of Luke and Laura's wedding. It saddens me even more now, knowing that she was going to be honored next week at the Daytime Emmy Awards and will never get to see it. My heart goes out to her whole family, to everyone over at GH and to all the fans who will never get to see her in action again. For everyone who was lucky enough to know her and work with her - they ALL have my deepest sympathies. Congratulations on your Lifetime Achievement Award Anna/Lila!!! It was WELL DESERVED. God be with you, Anna Lee, for now you are surrounded by Angels. You (and Lila Quartermaine) will be sorely missed - FOREVER!!! It is sad to loose such a wonderful actress. She didn't look 91 that's for sure. I myself thought she was only in her seventies. She was and is a wonderful actress who will live on in our memories for a long time to come. To Anna Lee's family I want to express my deepest sympathy and regret over losing such a wonderful person. I hope GH treats this with the dignity that she deserves. They can't just mention her death in passing, that would not be right. Anna Lee and the character of Lila deserves much more than that. I have been watching the show since i was 7, She was a great actesses!! My blessings go out to her family and friends!!! I'd been a fan of GH for years, always enjoying Ms. Lee's portrayal of Lila Quartermaine. When my husband and I were dating he popped "Fort Apache" in the VCR. Imagine my surprise and delight to find a young and talented Ms. Lee in the cast. I found new respect for Ms. Lee and Fort Apache soon became one of my favorite movies. Ms. Lee will be missed as a person as well as an actor. She had such a beautiful spirit - anyone fortunate to watch her perform her craft was truly blessed. The character of Lila Quartermaine deserves the most glorious tribute/sendoff any character on GH has ever had. My prayers are with her family as well as her extended family of cast members. I have been watching GH for 26 years now. Anna was such a delight, she kept Edward in line (and we all know how much he needed it). To her family: it is a very difficult time for you, I lost my mother less that 1 year ago. Our thoughts and prayers are with your family at this very difficult time. I was so sorry to hear of the death of this wonderful woman and phenomenal actress! She lit up the screen and was the epitome of a true lady. I have enjoyed watching her on GH for as long as I can remember! Rest in Peace, Miss Lee. You will be remembered and truly missed! I have been watching Lila for as long as General Hospital has been on the air. God blessed that show with a beautiful character in Anna Lee. For her family my deepest sorrow for her passing. She will be remembered in many years to come. I will so miss that lovely Lady Lila. Her elegance will be sorely missed. Besides THE SOUND OF MUSIC I enjoyed her in THE GHOST AND MRS. MUIR in other small, but character captured roll of the wife to George Sanders character. Lila was such a great character- Anna Lee will be remembered in such a positive light by all. I was very sad when I received the news of Anna's passing. I loved her as Lila and hated the way "GH" treated her in the end! I thought it was a shame she was not able to cover her medical costs. Even though I hated seeing Frances Reid killed off on "Days" (they were the same age) at least she was feted as the much beloved character and actress she is! I'm hoping the producers take note of the fans outpouring of love for Anna and not go ahead with their plans to recast her! She was one of the last of the great movie stars and was a joy to watch as her daytime fans grew to love her as well! It'lll be interesting to see what "GH" does for an announcement this afternoon! Whatever tribute was planned for her at The Emmy's this year will hopefully be tasteful and even more respectful now. Oh, I'll miss her scenes with Reginald! Anna Lee was a lovely lady. The pure essence of class. 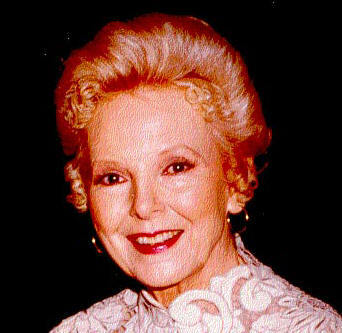 Anna Lee portrayed Lila Quartermaine with that same class that truly became her signature quality. She will be missed so much by so many fans and will never be forgotten as she is a big piece of General Hospital history. The stars that shined in her eyes on stage will now shine in the heavens to brighten each night sky. Ann Lee, you are pure light and will shine forever in the hearts of many. Fly with the angels and rest in peace you lovely lady! My name is Darla. I watch GH everyday and I thought of Lila as a grandmother. She was absolutely beautiful and I truly loved and admired her. I, too, am in a wheelchair. I was paralyzed from birth. So, I admire how she handled herself after her accident. She is an angel and I will truly missed her dearly. I am a "GH" fan for many years. I want to add how much stars like Anna Lee helped create the tsunami that was "GH". I always remember her work as "Lila"; she gave that character heart and dignity. Whenever she appeared onscreen, I knew we all were in for an education in compassion and love, even when "Lila" was being stern. To her family and friends: I already miss her and I know you miss her more. Thank you Anna Lee. I am a huge fan of Anna Lee. I watch GH religously and always looked forward to seeing everyones favorite character Lila. She was a lovely women and I was shocked to hear the news today. I will miss seeing her beautiful smile. I did not watch GH religiously but when I did, I was so thrilled to see Anna She was in a class of her own. I hesitate to use the words "classy', etc. On-screen she was a lady to be admired. God bless and rest her soul, she'll be missed. She was the epitomy of nice. So sweet, gentle and kind. A Great Lady is gone. 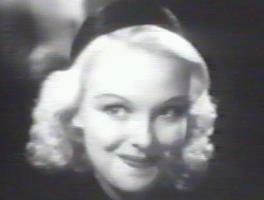 In addition to the numerous movies she was in; Anna Lee was most entertaining as Lila Quartemaine on GH. She will be greatly missed!! I was so sorry to hear of Anna Lee's passing. She was a great lady. I have watched her in General Hospital since 1981. Many films I have seen her in and she did a fantistic job. She even acted with the late John Wayne. She will be missed. In loving memory of one of the greatest actresses that ever graced the screen, Anna Lee will be missed by everyone that has seen her on General Hospital or in major films. From the deepest part of my heart I wish to send my love and admiration to her family and friends and say that Anna Lee is truly in a far better and safer place. She will be loved and missed. Lila has long been my favorite GH character. I'll miss her a lot. She was a beautiful woman who truly personified the word "LADY". I have been watching General Hospital for 23 years now, and every time Anna came on the screen, everyone got quiet and watched her. She had such talent and beauty, and had a way of taking your breath away. I will miss watching Lila putting Edward in his place, and I will definately miss her love and support of Jason and of Brenda. I can't believe how ABC had treated her towards the end of their working relationship. It made me sick to see how the characters on GH made references to Lila, but no one ever saw her. Ms. Lee gave many years to GH, and for her to be put on recurring made me angry. She could have fit into many storylines, such as Emily's cancer, the Hotel Fire ( that affected the entire Quartermaine Family...) I am just saddened to know that today when I watch General Hospital, I am not going to see her in the credits (actually we haven't for a while now) and I am not going to see her on screen again. Anna Lee.... you made GH worthwile for my husband and I to watch. You were a true lady, with elegance and grace and you will be missed forever, and never forgotten. Thanks for the memories Anna. You were a great Quartermaine and GH should be ashamed of themselves for the shabby treatment you got. I am so sorry to hear this Sunday that Anna Lee passway. I have loved her since I started to watch GH in 1996! I was crying so hard Sunday. May god be with her family & Friends. THANK YOU FOR ALL THE REMARKABLE SCENES AND MEMORIES OF YOU PLAYING LILA QUARTERMAINE ON GENERAL HOSPITAL, WE ALL WILL MISS YOU IN LIFE AND ON GENERAL HOSPITAL, WE FANS WOULD LIKE TO OFFER OUR CONDOLESES TO YOUR FAMILY AND YOUR FAMILY ON GENERAL HOSPITAL. THANKS FOR A REMARKABLE CAREER ON TELEVISION. I'm Laura Spears & I have been a great fan of GH for soooooo long I believe in early to mid 1960's lets say I remember when Dr Steve Hardy had talked to Angie after she had her face redone after her car wreck I believe, plus I remember Lucille March & Al Weeks, so I have been watching GH ever since then and still is watching GH. I have seen many changes ie: actors actresses and guest appearences thru out the show since its been on. I love Anna Lee she always knew what to say and showed everybody whos the boss in the Quartermaine house. I was in total shock when I found or should say heard of her passing she will be greatly missed by everybody. I also know that John Beradino died along with Emily Laughlin and Frank Kilmond aka Jennings the Q butler, and also Norma Connolly and Filomena Soltini the house keeper or Robins grandmother her real name was Argentina Brunetti. ( I know you may not be able to put all this in the memoir page on here but just put what you think is the shortest message that I have said about Anna. Oh yeh I also read about Shell Kepler aka Amy Vining. All my prayers & support goes out to her family and son Jeffery. I will miss seeing Anna but I have recorded the memorial service that the show paid tribute to her on GH.